Every day this Advent we will be sharing reflections from Christian authors. Today's is by Rachel Ridler. I will never forget the feeling of impatience and expectance that sits in the heart of a first-time mum as they approach the last few weeks of a pregnancy. Excitement mixed with fear, as the realisation that the time of labour, something you’ve heard all about but not felt, gets ever closer and the day you will finally meet your long-awaited baby is within touching distance (clips from One Born Every Minute are running through your head…). I could barely sit still and enjoy the calm before the storm – my head was filled with thoughts like “is everything ready?”, “was that a contraction or just a kick?”, “just how painful is this going to be?!”. 1. Mary couldn’t rest. When Mary should have been sat at home with her feet up, instead she was being lumped around on a donkey or worse still, walking the distance from Nazareth to Bethlehem. 2. Mary wasn’t expecting a normal baby. Imagine the thoughts in her head when she knew it would be a supernatural baby (would it come out glowing?!). 3. Mary wasn’t socially acceptable. Teen unmarried mothers are supported and looked after now, but we know this has been a long time coming, and Mary would have been shunned, ignored and generally looked down upon because of her situation. Did Joseph look after Mary? Of course he did! He tried to make the journey to Bethlehem as comfortable as possible for her and he stayed engaged to her after the news she was pregnant. Did God look after Mary? Of course He did! He made sure that all the arrangements were taken care of and that Jesus was safely delivered. But did that mean it was an easy, stress-free ride for Mary? Not at all. She would have had to trust in God completely, in the face of miscarriage, rejection, even death. Mary’s was no ordinary “third trimester” and she showed amazing strength and courage to become the mother of Jesus. Let’s not reduce her to “mother mild” but ponder the faith and strength of this woman of God. 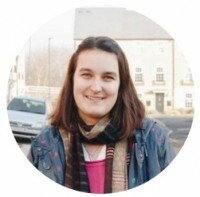 Blogger at Rachel Ridler: Mum on a Mission, Rachel writes about being missional during the parenting years and reviews new resources for Christian parents. This year she has been encouraging mums to stop feeling guilty if they can’t do daily devotionals, but instead to embrace weekly meditation verses. Her current series is called “in HER shoes” where every week she steps into the shoes of a woman from the bible.